Transfer files at ultrafast speed. 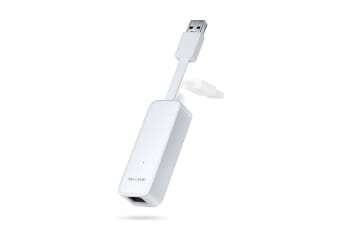 The USB 3.0 to Gigabit Ethernet Adapter adds Gigabit Ethernet network connectivity to your Ultrabook, MacBook Air or desktop through a USB 3.0 port. Backward compatible with USB 2.0/1.1 standards, transferring files at ultrafast speed over an Ethernet port.